When Will NFL Suspensions Actually Mean Something? “Easy, breezy beautiful Covergirl” took on a new face this week—literally. However, it was through no doing of their own. A sponsor of the NFL, Covergirl found itself being criticized as their ad featuring a beautiful young black woman, wearing the stripes and colors for one of the teams, was photoshopped by someone else posting a horrendous black eye. With the slogan already, “Get your game face on!” the stark image provides a remarkable reminder that the NFL is still representing abusive men—one in particular who was just recently exposed to be beating his wife. We could talk about the severity of it. How Rice not only beat her but knocked her out. How she came out on Instagram days after it was released, stating that there had been a “bad period” in their lives, and having someone expose something so personal was a “nightmare.” But it doesn’t really matter, does it? The number of punches thrown may matter in a court of law for an ultimate punishment, but to anyone with ethics, just one thing needs to be clear: He raised his hand to the woman he claimed to love and sent her sprawling to the floor. In 2014, the fact that we are still debating this is distressing, in and of itself. The fact that his wife finds herself defending her husband’s actions is also distressing—what exactly compels her to do so is a mystery to many. To others, victims of domestic violence, it’s a step in the same old pattern, one that they understand and try to explain to the critics with the hashtag of #whyistayed. To the NFL, it’s no doubt one thing. Money, which marks success, which generates business, which gives even more money . . . The NFLPA (NFL Players Association) has appealed Ray Rice’s indefinite suspension from the NFL. As quoted in USA Today, "The NFLPA appeal is based on supporting facts that reveal a lack of a fair and impartial process, including the role of the office of the Commissioner of the NFL. We have asked that a neutral and jointly selected arbitrator hear this case as the Commissioner and his staff will be essential witnesses in the proceeding and thus cannot serve as impartial arbitrators." So . . . what does impartial mean? That they don’t have an issue with domestic violence? It’s impossible to know just what will happen next in all of this, but one thing is certain: There are no levels of “badness” when it comes to abuse. And until those in charge realize that the fight to make them understand that humanity comes before money will continue. 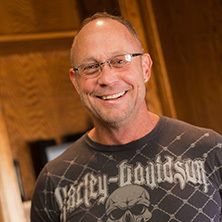 Craig Rogers has been a leader in the behavioral health industry for 20 plus years. Craig Rogers is an enthusiastic author and blogger, writting and publishing 2,000 articles related to the "therapeutic intervention... Read more.